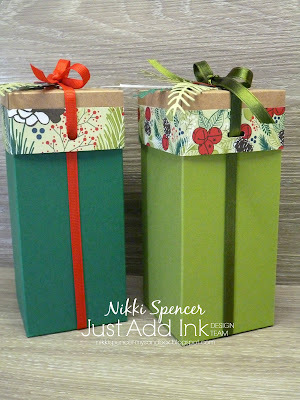 My Sandbox: Just Add Ink #439...Gift box! Just Add Ink #439...Gift box! Can you believe its only 4 sleeps until my Birthday...:0) Or more commonly known as Christmas Day! Bring on the Christmas crazy and festivities! Thank you to all that dropped by here and left your lovely comments this year. I read and appreciate them all and wish you a wonderful Christmas and a safe, happy and amazing 2019. 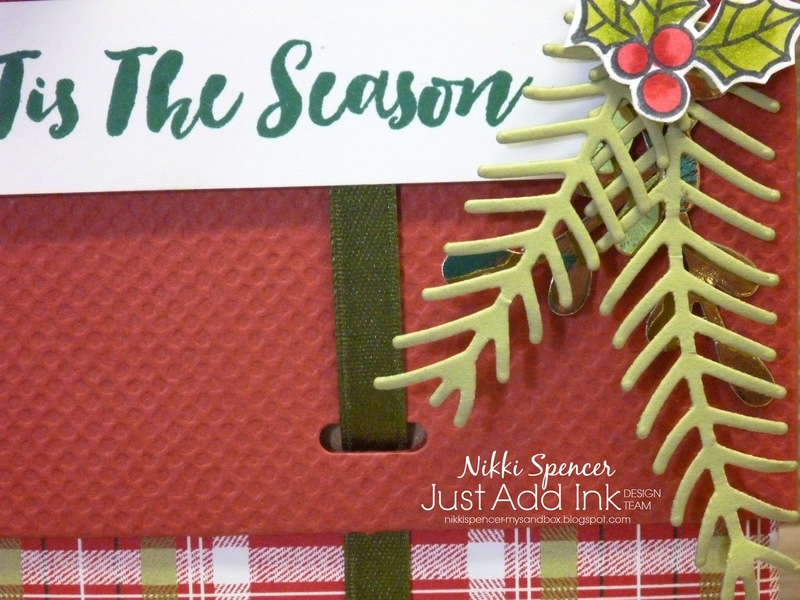 Now onto our final Just Add Ink challenge for 2018. 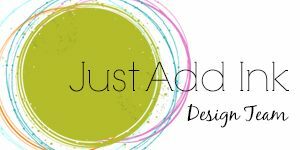 This challenge will run for 2 weeks (non voting) and then the team will take a break and we will be back with a fun "Blog Hop" to kick start the year on 18th January. 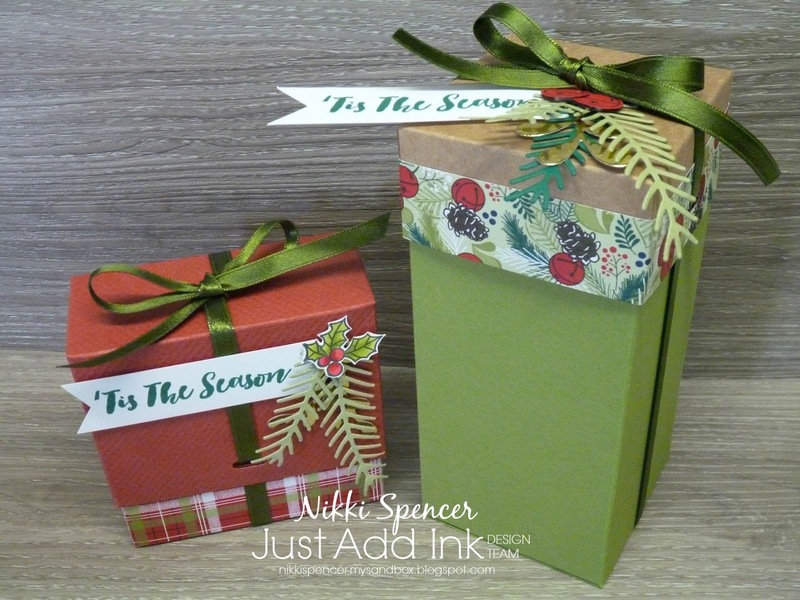 for our final challenge, Patrice wants us to create a gift box...Perfect timing for Christmas! But it can be for any occasion you like! 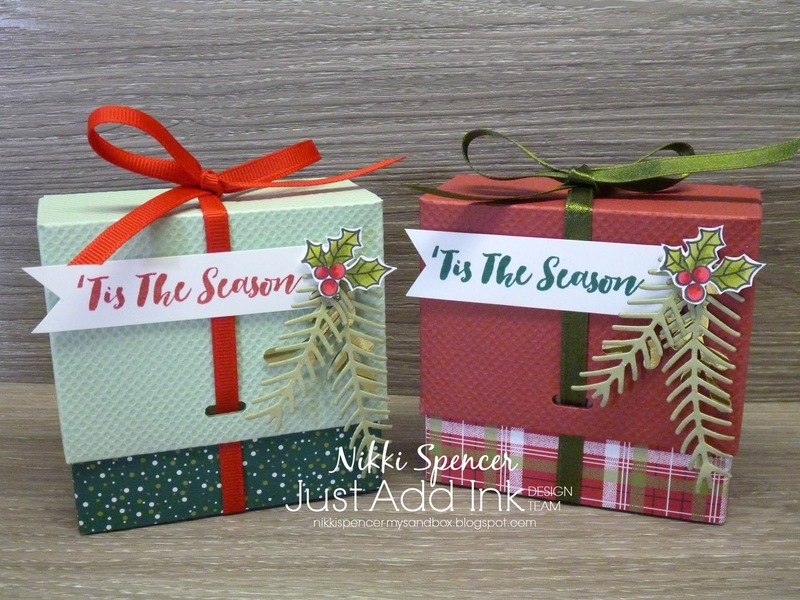 I have created a couple of gift box ensembles using this great tutorial from from Linda Parker over at papercraftwithcrafty.co.uk for the squat size, fun and simple to create and super sturdy! And for the taller one l used this great tutorial from Sam over at mixedupcrafts.com although l did alter the height to use a full sheet of A4. It was great to use up loads of bits from this years Stampin Up! Holiday Dsp selection. Well, pardon the pun, but that's a wrap from me for JAI for 2018! May your Christmas be crazy and the big man generous! 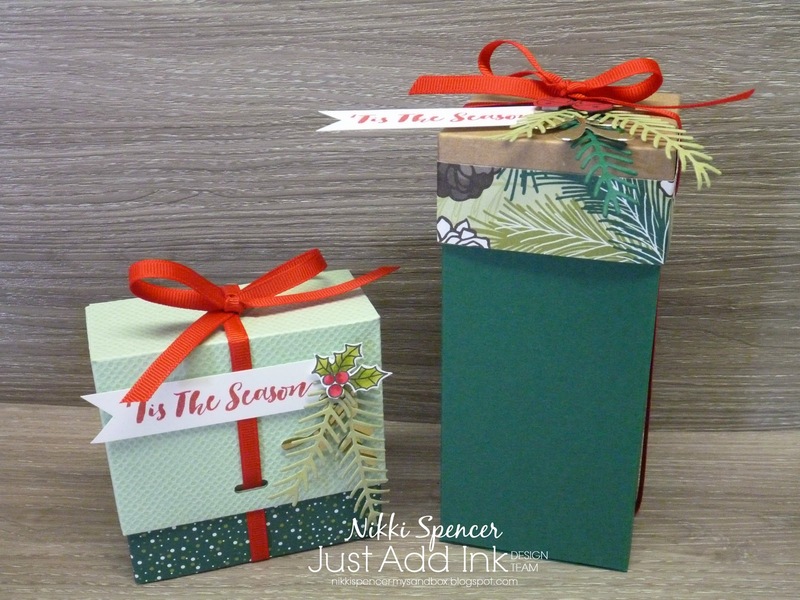 Make sure you pop over to he challenge blog and check out the rest of the design teams beautiful gift boxes.